18 hours in total OR 2 hours per seminar. We regret that full refunds cannot be given in any circumstances.You may give your ticket to someone to attend in your place if you find you cannot attend. In the light of the current passionate discussions on the medicalisation of psychotherapy, this seminar series is designed to explore the concept of psychopathology. For many psychotherapists, viewing a patient as mentally ill is to dehumanise their suffering by reducing it to a set of symptoms. For other practitioners it is a practical starting point for diagnosis and treatment. The way we conceptualise and assess people suffering from extreme signs of disturbance is obviously critical to the way they are treated. In this series we will have the opportunity both to enquire into distinct treatment approaches via specific diagnostic concepts such as mood disorder, psychosis, and borderline personality as well as to consider the significance of those concepts. We have very deliberately included both psychotherapeutic and psychiatric angles on the subject for two reasons: to illuminate the range of assessment and treatment possibilities between disciplines, and to explore what might emerge from a deeper engagement between modalities. Many psychotherapy clients may have had, or be having psychiatric treatment or may be causing their psychotherapist concerns about their sanity or safety. At the same time, psychotherapy has become an integral part of the treatment offered within psychiatric units. What can we learn about contemporary psychiatry? When and how do we find ways of working together? 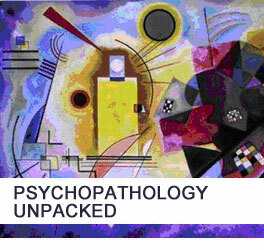 This series goes to the core of our profession: the nature of psychopathology, how we work most effectively to relieve psychological suffering and the role of theory and values in that process.